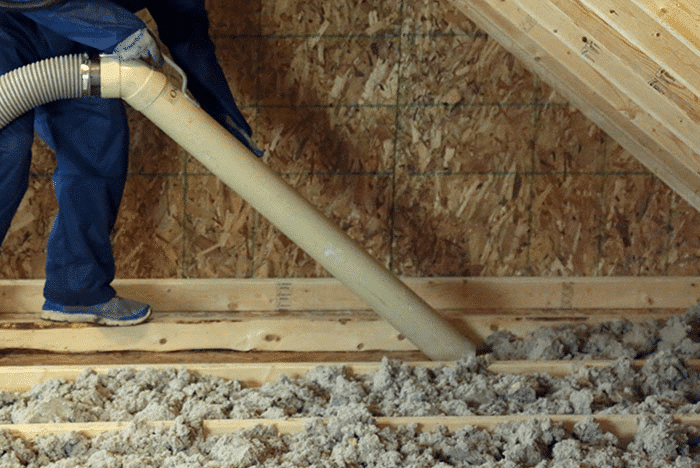 You have done your research and have decided on foam insulation for your home because of the material’s ability to create an air seal, as well as the other benefits it offers. There’s only one more thing to figure out – Do you need to remove the old insulation before installing the new? RetroFoam of Michigan has more than 15 years of experience insulating thousands of homes across the Mitten, so we can help answer this question for you. Like many things in life, different situations will have different solutions. For example, the way the foam insulation is installed and the cleanup necessary in an attic is vastly different than in the walls. Any space that will have spray foam insulation installed, like the attic, crawl space, or rim joist will need to be completely emptied of the old insulation. A good contractor will want to remove that old fiberglass or cellulose so the spray foam can get into every nook and cranny, creating an air barrier. RELATED: Why Does Old Insulation Need to be Removed from the Attic Before Installing Spray Foam? Luckily getting the old traditional insulation out of the attic, crawl space, and rim joist is only hard if you have to do it yourself. Most contractors will take care of the dirty work for you. A crew will come to your home and vacuum the old insulation up if its blown in or carry out the fiberglass batts. They will also dispose of the old material, so you don’t have to. When it comes to installing injection foam in existing walls, the foam will flow through the cavity and compress the fiberglass. However, if there is cellulose in the walls, that can keep the injection foam from filling the cavity like it is supposed to. A good contractor will remove the bottom row of siding before the injection foam installation, drill holes, and vacuum out the cellulose. If you’d like to learn even more about the installation process, check out our learning center. If you live in Michigan’s lower peninsula and would like to set up a free estimate, give us a call at 866-900-3626 or fill out the form on our website.